When did you start VWTV? I started VWTV a little over two years ago while living in South Beach when I was sort of just new to blogging. Tell me a little bit about why you started doing VWTV? I started VWTV simply because I felt there wasn't anything else like it on the web. I am a videographer/editor for a living and I have deep passion for VWs. While in college, (sometime between 1998 & 2000) I got my first car, which was a 72 Karmann Ghia. From the day on, I fell in love with the Karmann Ghia and the VW culture. 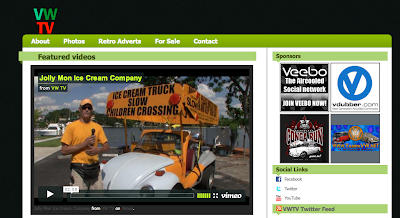 So VWTV is a result of my passion of creating video fused with my passion of VWs. The first six to nine months of VWTV, there weren't any videos, interviews or no write ups. It was just pictures but the goal was to always make it a video blog, I just didn't have a video camera at the time I created it. Now, the site has created a bit of small following not only here in FL but it other cities and countries around the world. What's the goal of VWTV? The goal of VWTV is to just capture as many stories, events and things dealing with the VW culture. I remember the first time I discovered HOT VW magazine and was so excited that I had a publication that I could read and see so much stuff about VWs. It was like a new escape for me. So the goal of VWTV is to have the same effect with a totally new medium. 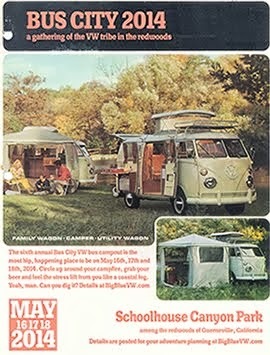 So when some one new to air-cooled VWs goes online to do a search for vintage VWs, I want my site to really inspire them so that they know their Volkswagen dreams are attainable. Also, I want VWTV to be a place where people can get ideas about what to do to their cars and also to be able to reach out to me or these other people about where to find certain things or how to do certain things. What are some of the coolest interviews you have done? One of the coolest interviews to me that always sticks out is Reid's 71 Beetle http://seevwtv.com/2009/05/reids-71-beetle. Although, I never mentioned it in the write up, Reid had an extreme case of autism but his enthusiasm for his bug completely transcended any illness or any other superficial qualities. It all came down to his love for his bug. And the relationship between he and his father reminded me a lot of my father and I because my father was the driving force behind my Karmann Ghia. What VWs do you have now? I currently own a 72 Karmann Ghia. It was my first car that I drove for two years while I was in college. The first time I saw the Karmann Ghia, I fell in love with everything bout it. Wow, well in terms of cars and things closely related to air-cooled VWs. I would love to interview Jerry Seinfeld because I hear he's a big Porsche guy so I would love to get his take on the air-cooled culture. I've never really thought about interviewing any one person about VWs so yeah, Jerry Seinfeld would be my guy. My next goal for VWTV is to reach 200+ videos. Currently, on the site there is 135 videos so I'm hoping by the end of the summer I will have reached that goal. Also, I would love to start visiting other states to really take this show on the road. So if there are any big companies out there who would like to sponsor an air cooled VW road web show, contact me! 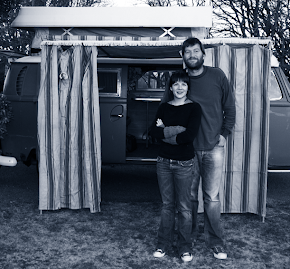 Sarah's Bus from VW TV on Vimeo.